President Barack Obama is scheduled to visit Indonesia Nov. 9-10 as part of a 10-day trip to Asia. 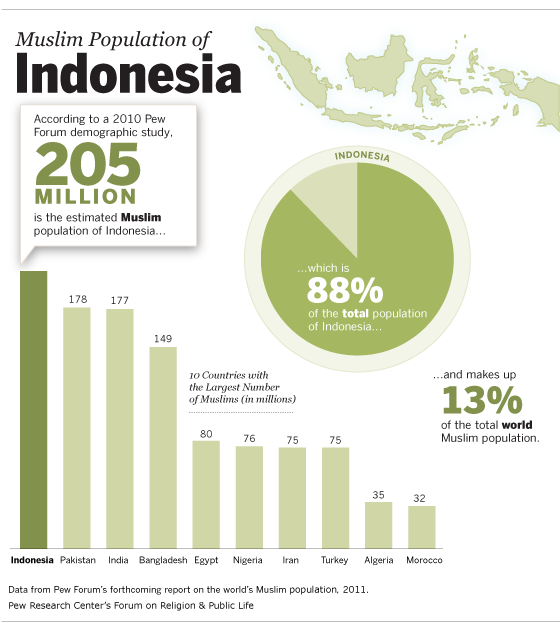 A new Pew Forum graphic shows that Indonesia is the country with the world’s largest Muslim population (205 million). Roughly 88% of Indonesia’s population is Muslim, and the nation is home to about 13% of the world’s Muslims.